Purps #1 is a cannabis seed by Dinafem Seeds with two clearly distinguishing traits: some intense purple and autumn-like colours, and a fruity aroma that will make us travel to the woods from the very first drag. It seemed impossible to create a marijuana plant that would be as pretty as our PAK, but even more difficult was to develop an Indica with such intense aromas of wild berries. However, Purps #1 is them both. So, while our love for Purple Afghan Kush is still and will always be intact, we have created a strain capable of overshadowing her. A purplish plant with a scent that is more like the one delivered by a fruit tree than by a cannabis plant, with a highly relaxing effect and with THC-packed indigo flowers, as shiny as they're huge. 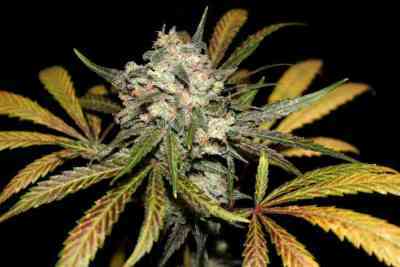 Morphology: Broadly speaking, Purps #1 is an Indica-shaped cannabis plant. However, we cannot confirm this plant to be 100 % Indica. Despite her incredibly wide and serrated leaves one would think are typically Indica, there are other features that indicate otherwise. For starters, Purps #1 grows vigorously: yes, she stretches quite a lot. In fact, she grows upwards without having to extend the vegetative period, and her internodes are surprisingly ample. Therefore, this isn’t a compact plant, but a plant that allows light and air to penetrate deeply. Her structure thus leads to bigger yields and eliminates any likelihood of the main stem being hit by moisture. We don’t recommend cultivating her in small places because she’s anything but discreet. Her average height is of 1.3-1.5 m. However, she could surpass 3 metres in height if grown following the European standards. It isn’t her structure the most striking aspect, though. The real shocking thing is her colouring. Her rich range of colours is the biggest asset of this strain: violet and lavender hues merge with dark-green shades and some white spots, which are the trichomes themselves. Honestly: a great show as few are. 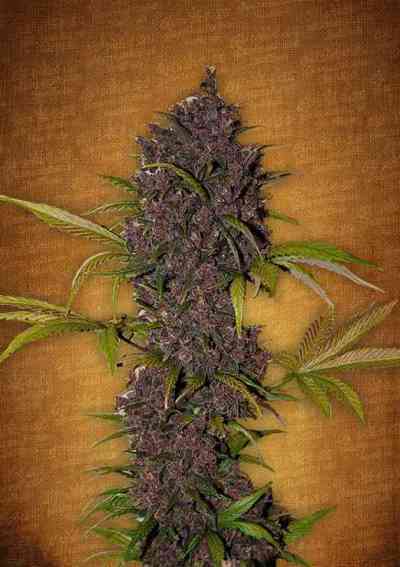 Yield: Purps #1 produces unbeatable crops; maybe not in terms of quantity but in terms of quality and of beauty. This strain delivers purple crops: huge THC-packed flowers with a fruity aroma and an incredible violet colouring. Aromas and flavours: Purps #1 is one of those plants whose scent lingers in the mind. Has it ever occurred to you that you’ve found a plant with a scent you haven’t forgotten and you’ve strived to find the very same aroma in other strains but you haven’t succeeded in it? So that’s exactly what happens with our Purps #1: you'll fall for her as soon as you smell her and you won’t be able to find another one in the same league. It’s a very original aroma. We could say it’s incredibly fruity, mixing red berries with wild berries and some pineapple nuances. But there’s much more to it than that. Her aroma goes far beyond the mixture of two things accompanied by touches of who knows what. Once you become familiar with the aroma of Purps# 1, you’ll be able to set it apart from the other strains as well as to value it as it deserves. Effects: Purps #1 delivers a clearly relaxing high. However, despite her high THC levels, she’s not devastating. Her effect is indeed cerebral and helps to flee the frenetic daily thoughts, but it’s a trip with a smooth return. Physically speaking, your muscles will feel fully relaxed. Cultivation: With Purps #1, it’s enough to meet her basic care requirements. She’ll thrive when provided with moderate levels of water and nutrients. Despite her Indica-dominance, no extra time is needed for her to grow tall. 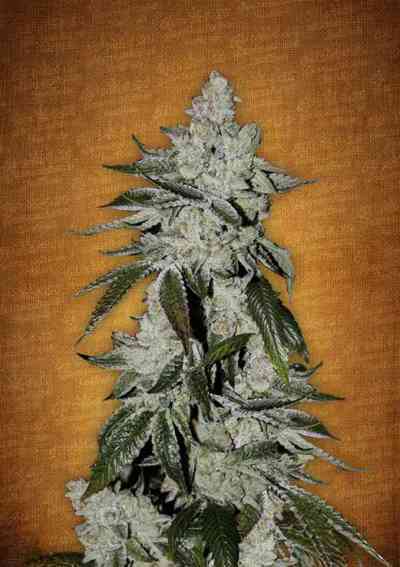 Her growth is vigorous and she flowers in some 60 days.